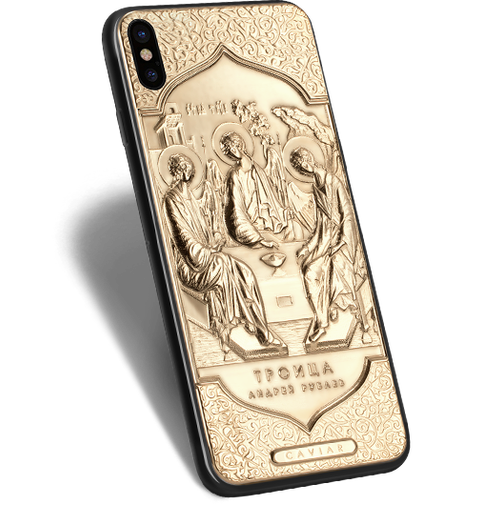 Credo Trinita Grey The jewelry brand Caviar presents a new model in the Credo collection that is dedicated to the masterpieces of culture connected to the world’s religions. 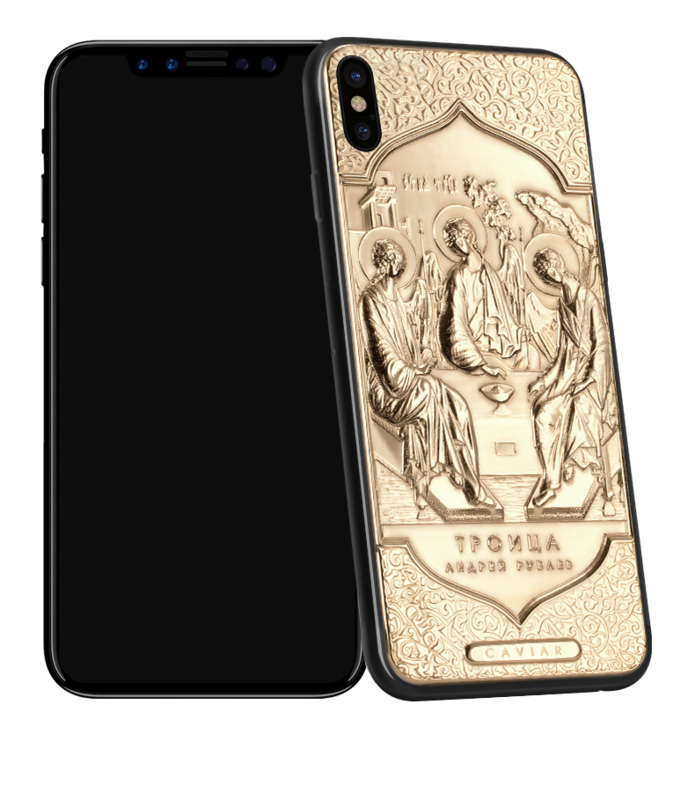 The smartphone “Caviar Believe Trinità” (“Trinity”) refers to the great masterpiece by Andrey Rublev – the “Trinity” icon. Created in the XV. Century “in praise of Sergius of Radonezh”, this canvas is still presenting a symbol of the Christian Faith, the unity and forgiving love while the brilliant performance of the picture is a sample of the unique composition harmony. To capture at least a part of the grand majesty of this masterpiece, the jewelers used a complicated and laborious technique of the volumetric engraving on metal, which allows to breathe life into the image by giving an effect of multiple layers to it. The jewelry brand Caviar presents a new model in the Credo collection that is dedicated to the masterpieces of culture connected to the world’s religions. 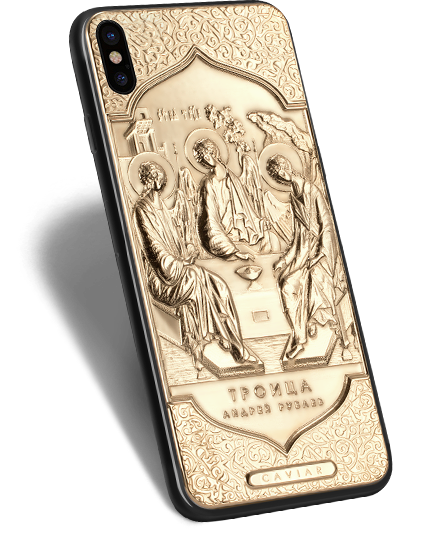 The smartphone “Caviar Believe Trinità” (“Trinity”) refers to the great masterpiece by Andrey Rublev – the “Trinity” icon. Created in the XV. Century “in praise of Sergius of Radonezh”, this canvas is still presenting a symbol of the Christian Faith, the unity and forgiving love while the brilliant performance of the picture is a sample of the unique composition harmony. To capture at least a part of the grand majesty of this masterpiece, the jewelers used a complicated and laborious technique of the volumetric engraving on metal, which allows to breathe life into the image by giving an effect of multiple layers to it. Central image: Engraving on metal (covering with gold). Image of three angels. Double covering with gold according to the technology Double Electroplated (999 standard, 7 microns). Ornament: Volumetric engraving. Pattern on the base of the ornaments from Russian manuscripts of XV century. Double covering with gold according to the technology Double Electroplated (999 standard, 7 microns). Inscription: Inscriptions “Trinity Andrey Rublev”. Embossing. 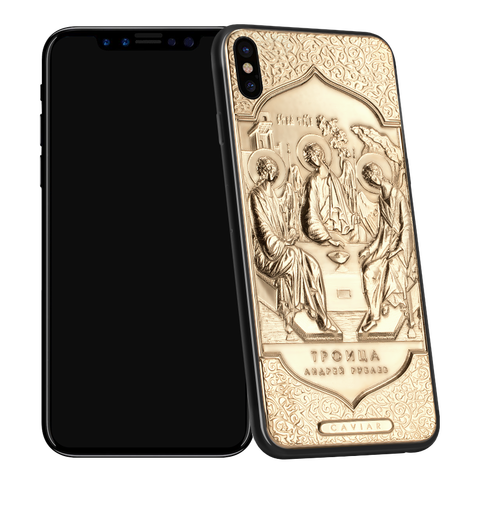 Double covering with gold according to the technology Double Electroplated (999 standard, 7 microns). Body and buttons: Anodized covering, engraving of the unique phone number.